Join young Emil as he says goodbye to his mother, leaves his small town and sets off on a journey that will change his life. When his money is stolen on the train by a mysterious stranger, Emil thinks he’s lost everything. But as he starts tracking down the thief, he soon discovers that he’s not alone in the big city after all. 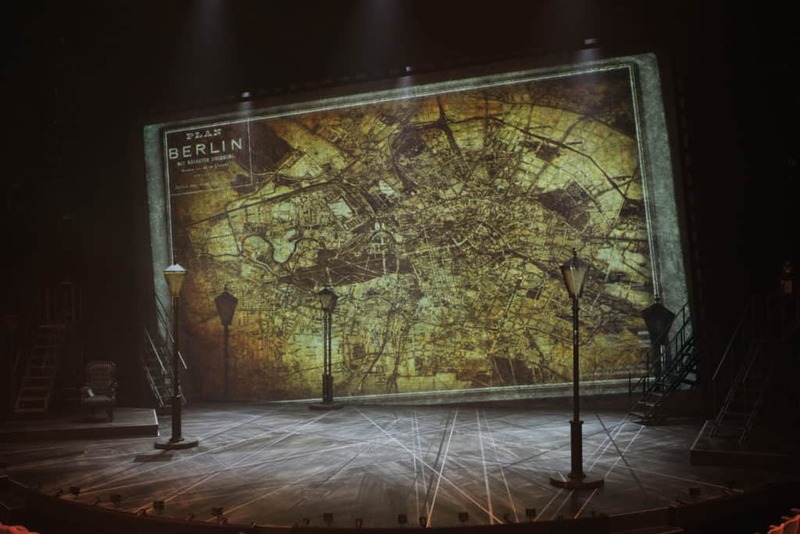 For this classic tale of a boy learning to rely on himself – and on his new friends – the Olivier stage transforms into 1920s Berlin: a place full of surprises and danger, where everything moves at the speed of your imagination. 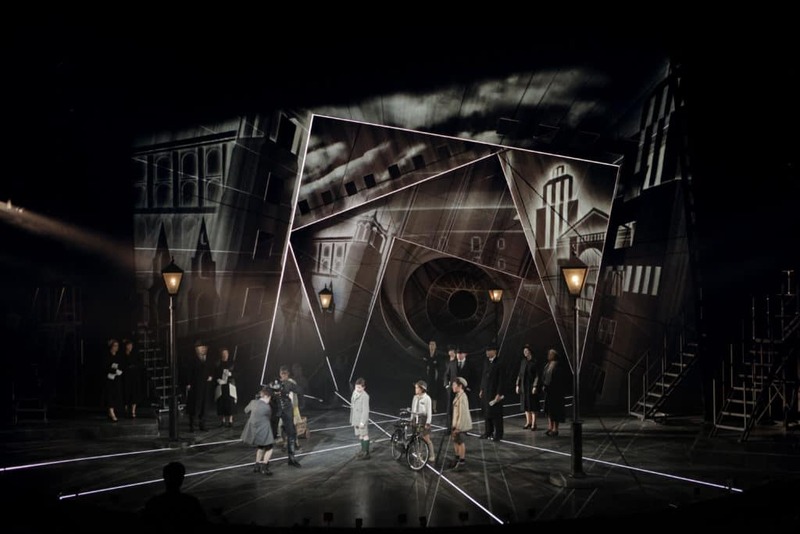 Following on from the huge success of War Horse, 59 Productions once again brought innovative scenic projection to the National Theatre’s Oliver Stage, this time presenting a vision of Berlin as an Bauhaus wonderland, a high-contrast combination of Weimar Republic style and noirish lighting. 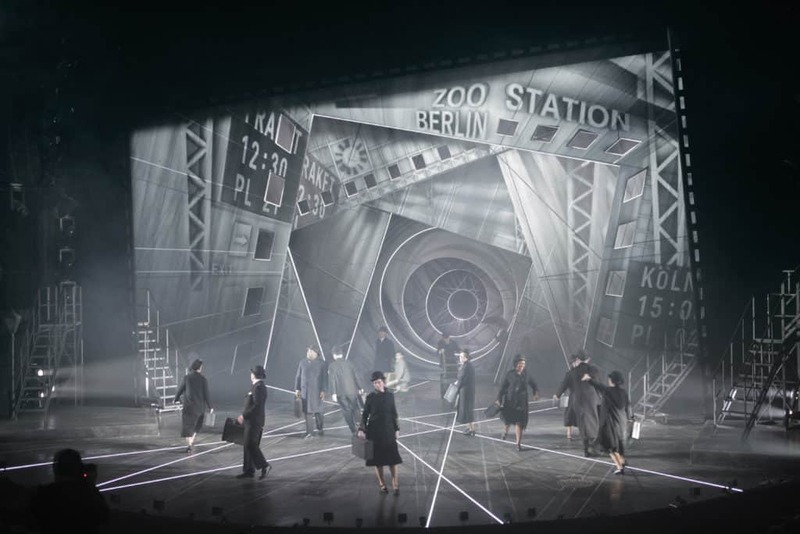 Working with designer Bunny Christie, 59 created a unique aesthetic for the show which built up from the aesthetic roots of German Expressionism towards a new and distinctive scenographic vision. Tthe true star is [the] stunning design. Expressionistic, wonky and sometimes vertigo-inducing, it evokes the Twenties setting and has a magic all of its own. 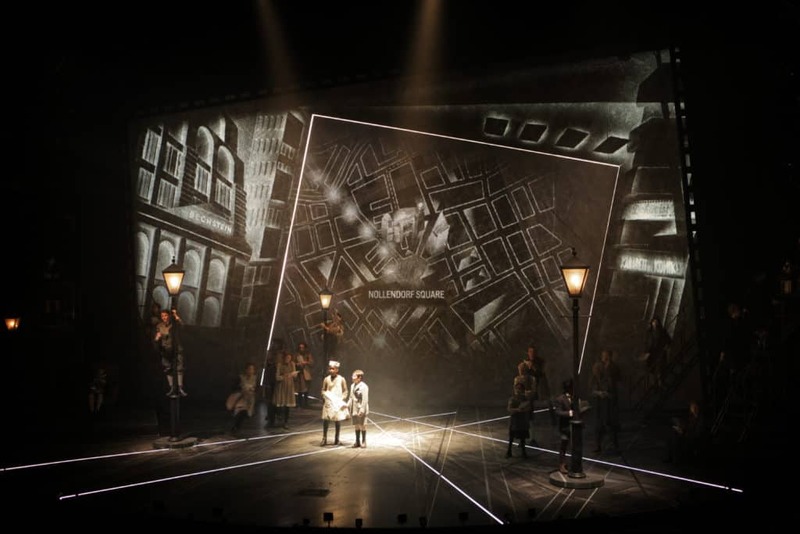 59 Productions’ projections take over from Bunny Christie’s more realistic stages-within-a-stage to give us a black-and-white expressionist Berlin projected on to a Constructivist backgournd. 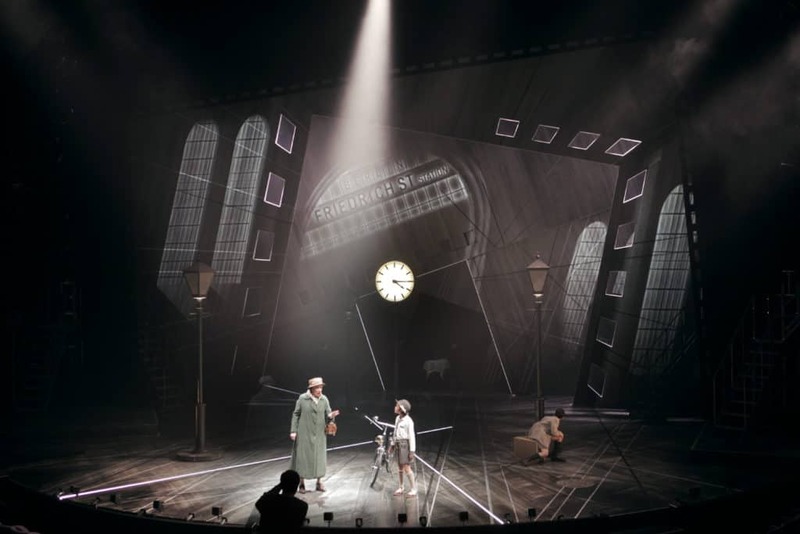 Their work, hand in glove with Lucy Carter’s lighting, is endlessly resourceful and not over-gimmicky in a West End way. 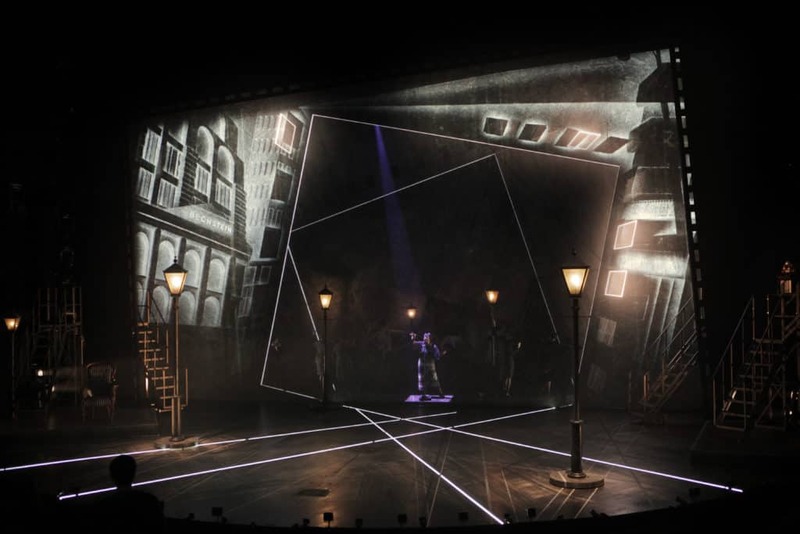 They transform the skewed stage frame into a Hitchcockian camera lens, a whizzing 1920s map of the city and a panorama of the nocturnal Berlin in lights where a cabaret singer (Jacqui Dubois) adds tingly atmosphere. 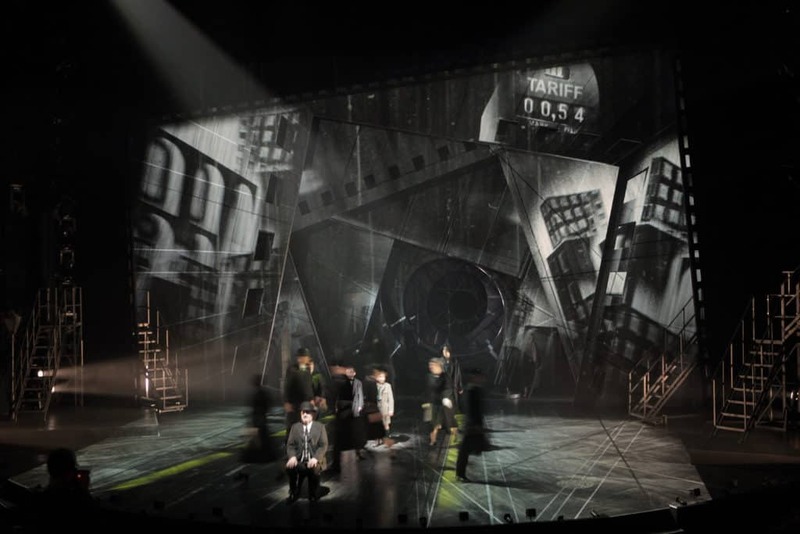 The pieces plunges a child from the provinces into the teeming metropolis and, with its tilted black and white projections, Bunny Christie’s brilliant design draws on German expressionist film to convey the dizzying feel of the place. Street maps dissolve into neon grids, geometric but unsettlingly lopsided. There’s a Vorticist eye that becomes part of the network of sewer tunnels through which, in an added Third Man-like episode, Emil pursues the thief.